Vice Chairman Named, Two Grants Received to Support Expansion, Third SMT Line Added and New Process Engineering Manager. Grand Rapids-based Firstronic has been awarded Skilled Trades Training Funds by the state, which are provided to businesses to train new and existing employees. Funds used to upgrade the skills of existing employees require a commitment by the company to hire additional employees to fill current or future positions. There’s been a lot of buzz about the reshoring of American manufacturing business that had previously been lost to other regions. 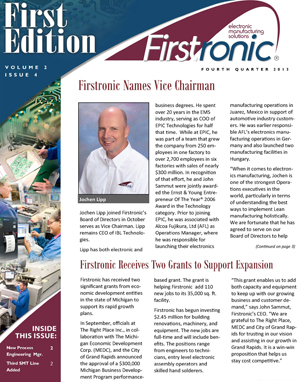 Grand Rapids, MI – Firstronic LLC, which makes the circuit boards that operate your new car’s shifter, heating controls and lights, is getting ready to hire 110 new workers as part of a $2.45 million expansion at 1655 Michigan Street NE. 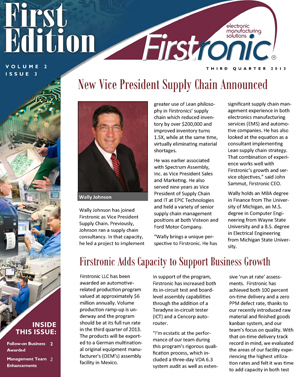 Wally Johnson has joined Firstronic as Vice President Supply Chain. Previously, Johnson ran a supply chain consultancy. In that capacity, he led a project to implement greater use of Lean philosophy in Firstronics' supply chain which reduced inventory by over $200,000 and improved inventory turns 1.5X, while at the same time, virtually eliminating material shortages. 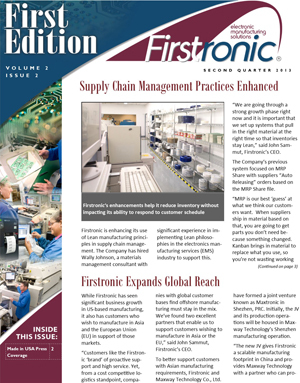 Supply Chain Management Practices Enhanced, Firstronic Expands Global Reach and Made In USA Recognition Continues. Company has been awarded a State Export Trade Now (STEP) grant via the Michigan Economic Development Corporation's (MEDC's) Pure Michigan Export Program. The grant helps offset marketing expenses. 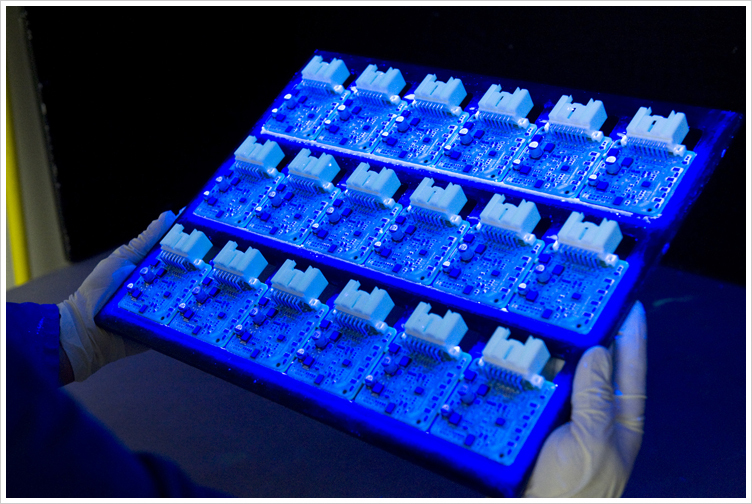 Also in this issue: Management Team Additions and New SMT Equipment Photos. 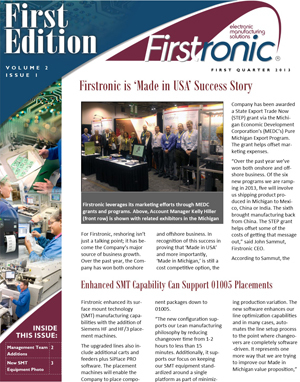 Firstronic LLC in Grand Rapids has received another State Export Trade Now grant via the Michigan Economic Development Corp.’s Pure Michigan Export Program to help offset marketing expenses aimed at increasing its sales to customers in other countries.